The end of 2017 is just around the corner, and for many marketers, the most important time of year is still to come: the holiday season. With mobile as their “anywhere” assistant, today’s researched-obsessed shoppers are more curious, demanding and impatient than ever before. Today, we’re introducing innovations to help you meet these rising consumer expectations and win more customers during the holidays and beyond. Consumers sometimes know exactly what they’re looking for, but over 40% of shopping-related searches on Google are still for broad, research-oriented terms like «women’s athletic clothing» or «living room furniture.»1 To help curious holiday shoppers discover your brand and product selection when they’re still in exploration mode, we’ve launched Showcase Shopping ads in the new AdWords experience, and made it available to more advertisers globally in 15 new countries. These ads let brands curate a collection of lifestyle images and products to help people explore and discover what they want to buy and who they want to buy from. Additionally, If you use DoubleClick Search, Kenshoo or Marin as your third party bid management system, you can also track and report on Showcase Shopping ads, as they are now supported. Brands like Overstock.com are seeing the benefit: the team recently created 50+ Showcase Shopping ads and saw a 3x increase in brand searches and 32% more click-assisted conversions leading to a purchase compared to standard Shopping ads. And to help you reach shoppers looking for just the right holiday outfits, we’re introducing a new apparel search experience which includes a visually-rich design alongside brand logos, and filters that let shoppers quickly narrow down options based on special sizing, price range and more. Additionally, «Similar looks» surfaces more recommendations based on a user’s previous clothing preferences. While some consumers may get their holiday gifts shipped early, last-minute shoppers might need to head to a store to find the perfect present. 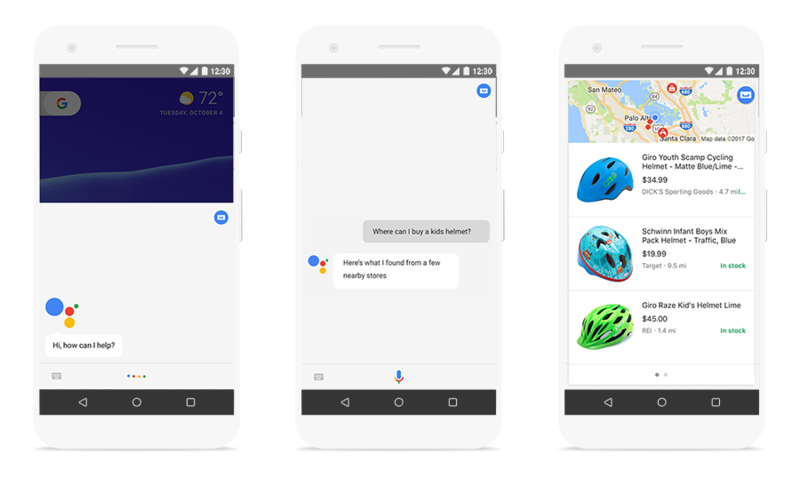 To make it easier for them to find you, we’ll be launching local inventory on the Google Assistant so products from your local stores may be organically surfaced to users. By asking the Assistant, “Ok Google, where can I buy _____ nearby?” on Google Home or their phones, holiday shoppers can easily learn what’s available in a store around them. If you have a local product inventory feed, your products may begin automatically appearing in relevant results on the Assistant. Marketers can also use promoted local experiences across Google to drive more foot traffic. Soon, we’ll be introducing a new local ad for Display so you can spotlight in-store products and promotions, much like you would with your print catalogs or circulars. 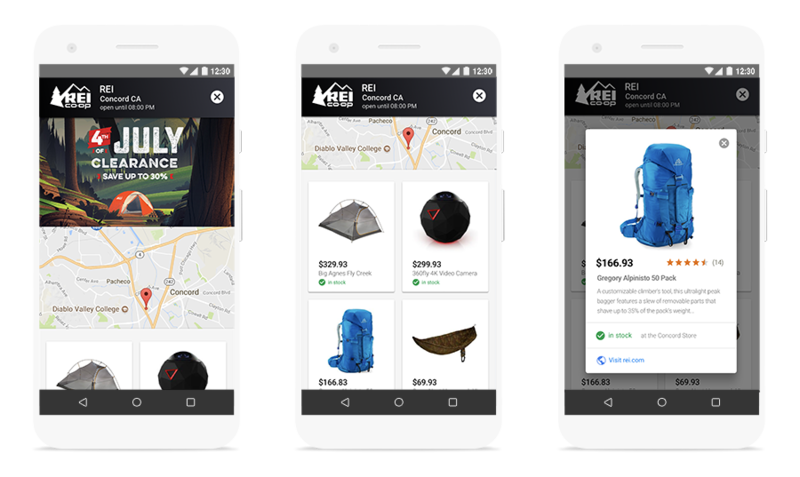 Reach out to your Google account team to join this pilot and use the local inventory feed from your Shopping ads to get up and running quickly. 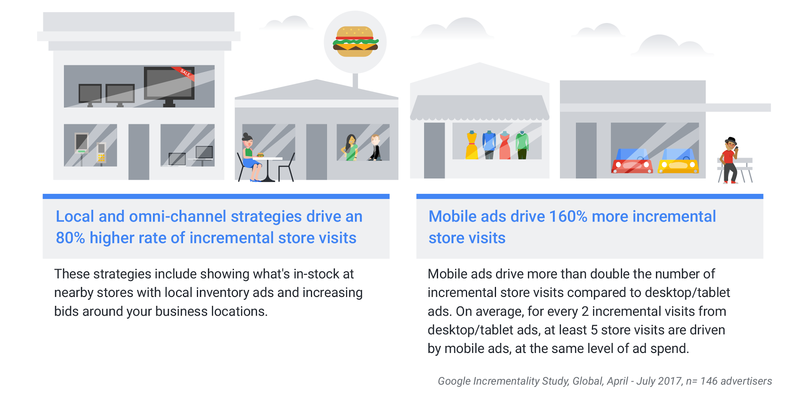 Another study showed that people who click on a Google ad before visiting a store are over 25% more likely to buy something while they’re there and spend over 10% more, on average.4 Together, these studies help show the combined impact of investing in omni-channel marketing to drive a substantial number of new, incremental store visits and to influence higher-value purchases once someone gets to your store. 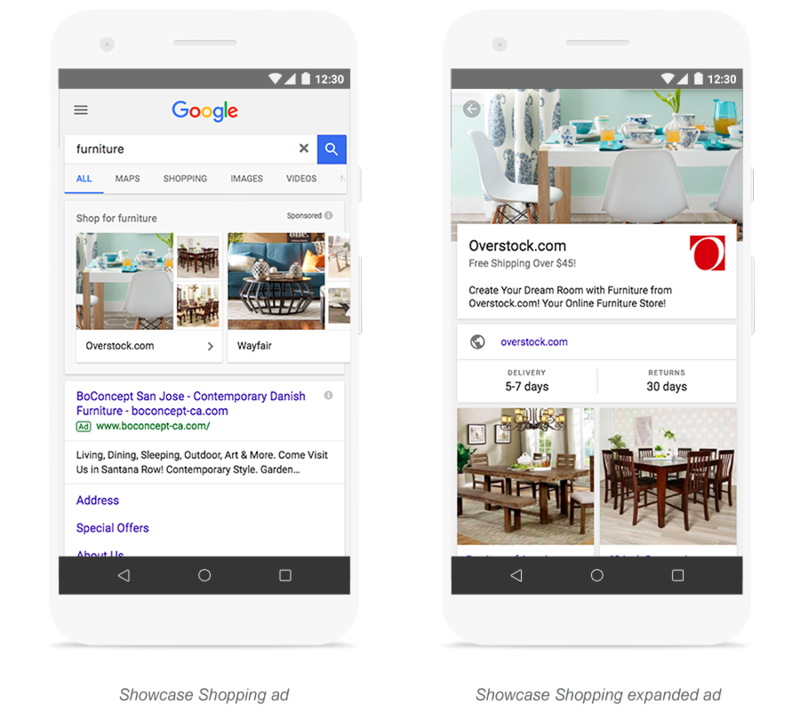 To help you capture the full offline impact of local ads and other formats on the Google Display Network, we’re enhancing store visits measurement for display advertisers. 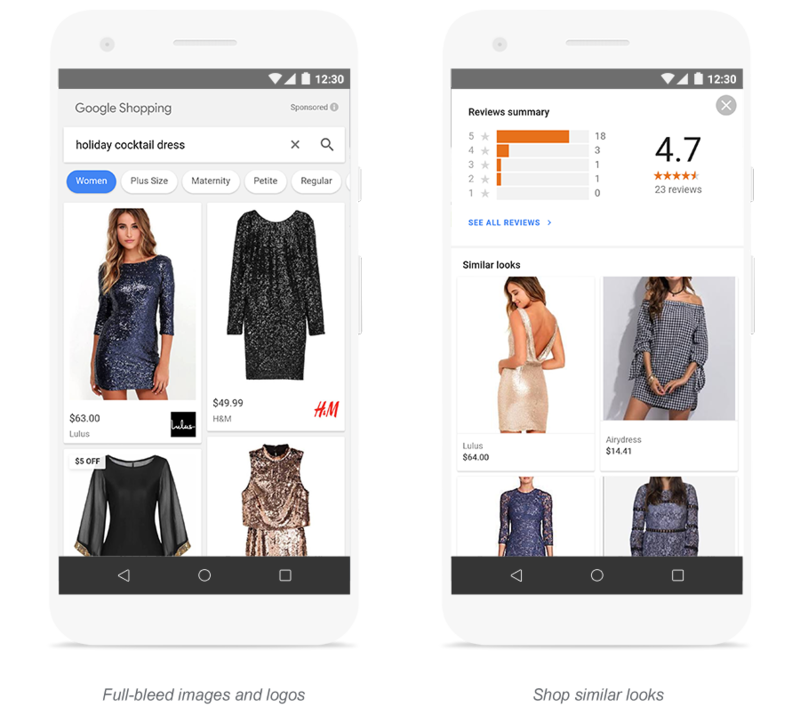 Impression-based store visits will become available in the coming months to give you a more comprehensive view of when seeing your display ad keeps your brand top-of-mind and drives users to take action later at a store, even when they don’t click through. Store visits are measured based on aggregated and anonymized data from users who opt in to activate Location History. This is done in a secure, privacy-safe way without sharing any personal location information. Time lag report (available now) – see how long it takes users to visit a store after clicking on your ad and understand how quickly they take action offline. New vs. returning customer report (coming soon) – understand how many of your store visits come from repeat customers.5 Together with the time lag report, this can help you gauge how your ads drive incremental visits. Demographic report (available now) – add store visits as a column to your existing demographic reports to see which groups are more likely to visit your locations. 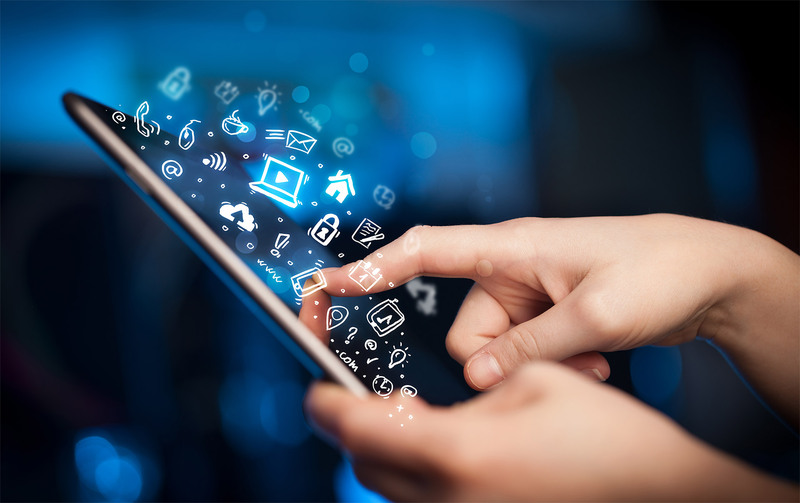 For the holidays and beyond, we hope these new innovations will help you reach new customers and measure the impact to your business. Here’s to your best holiday season yet! 2. Google internal data, Global, May 2017. Time period is measured four hours post-click compared to four hours pre-click. 3. YouTube Data, US, Classification as Store Tour video was based on public data such as headlines, tags, etc., and may not account for every such video available on YouTube, January – June 2015 and 2017. 5. You can set the window for defining a “returning customer” up to six months. If a user returns to any business location in your linked Google My Business account within that time frame, they will be counted as a returning customer.